Reading the Holy Bible and Watching Christian movies are some ways to boost our faith. Today I will be sharing with you my favorite Christian movies. I hope you will also find time to watch them. I watched these movies with my family and sometimes with my friends. I watched them so many times and you will learn a lot from these movies. For married couple I would suggest you need to watch Fireproof and especially those relationships whose on the rock. Joseph king of dreams is an animation movie but it's a great movie as well, you will learn a lot from it and it's good to watch together with your kids. If you watch the Left Behind series I suggest that you should watch from part one until part 3, so that you will be able to grasp the message and this movie is based from the Book of Revelations. Do you have a favorite movie? have you watch some movies that I mentioned? Share your favorite Christian movies in the comment box, I would definitely love to hear from you. 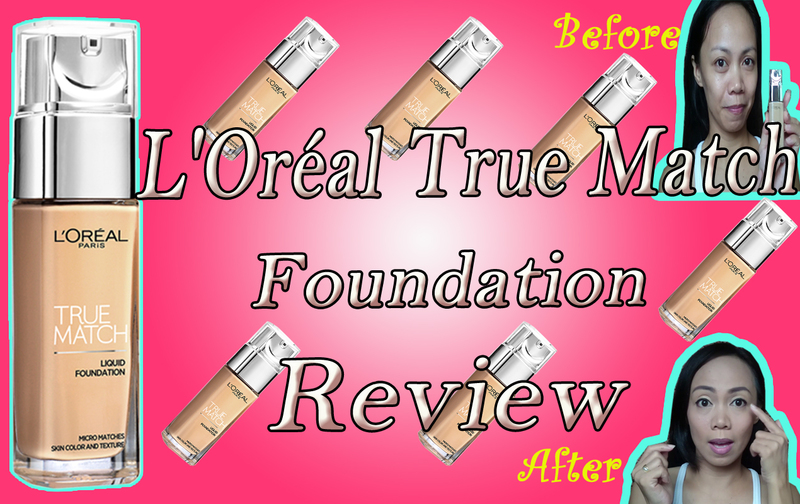 Are you a foundation junkie? 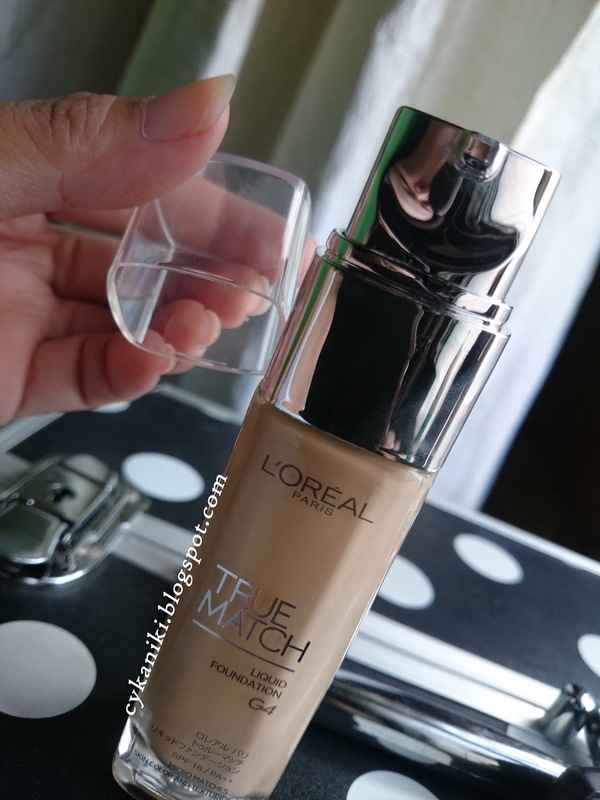 Sharing to you my thoughts about this foundation the L'Oréal True Match. Which I bought at Watsons. The Packaging is very nice, I love that the body is made of glass and it has a pump. It contains 30 ml of product. 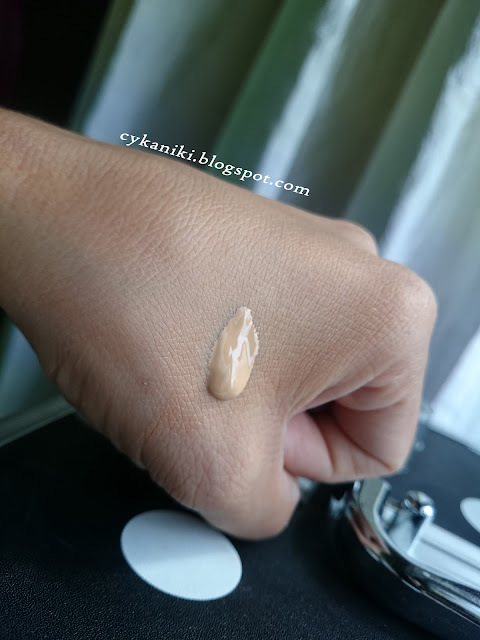 Precisely matches your skin texture & tone and reveals better skin quality.Super Blendable texture glides & melt onto skin with no cakey effect. Long lasting and natural make-up result and give you 24H hydration. Contains Hyaluronic Acid that is a revolutionary skin-plumping ingredient for all day hydrating power. True Match's Opti-Match technology contains ultra fine pigment match every Asian skin tone and texture with extreme precision. 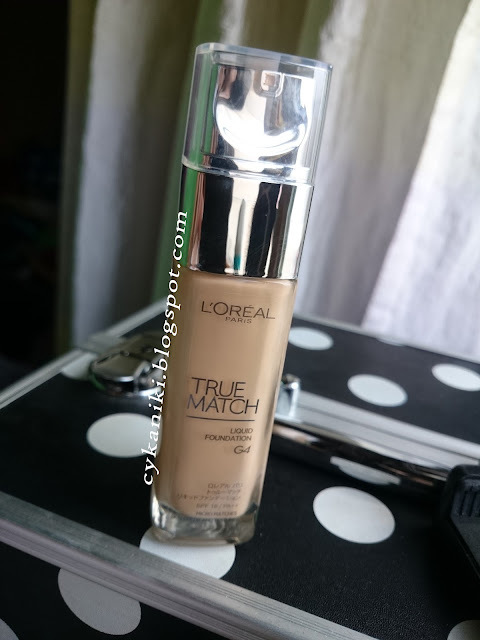 Super-blendable formula gives a freshness finish that does not cake or streak. Remember to shake the product very well before application. The packaging is very nice. It has a pump. It matches my skin tone. It does not have a sticky feel on my skin. Without pimer and mattifying powder my face starts to oil up 6 hours maximum. with primer and mattifying powder it lasted 9 to 10 hours. It covers skin imperfection please check the picture below. 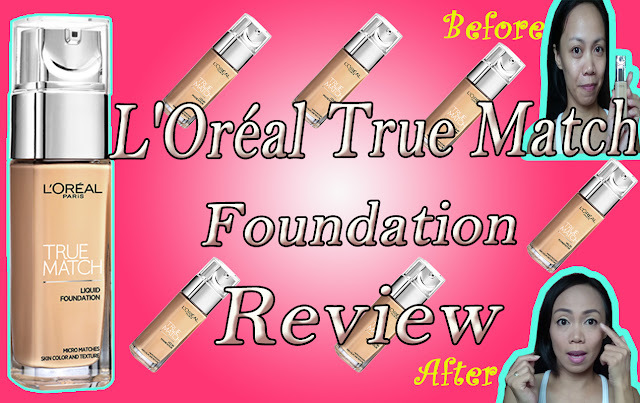 I've made a Vlog on how the foundation works on my oily skin. I hope you could check it out, you will see a demo, first impressions and the exact time of application and how it performs in action. I hope this will help you decide if your planning to buy one. Thank you so much for reading my blogs and watching my videos, please support by visiting my channel, please subscribe, leave a comment and like please and share, hahaha!!!!!!! for more videos. Please suggest what do you want me to film next. Have you heard about RareJob? 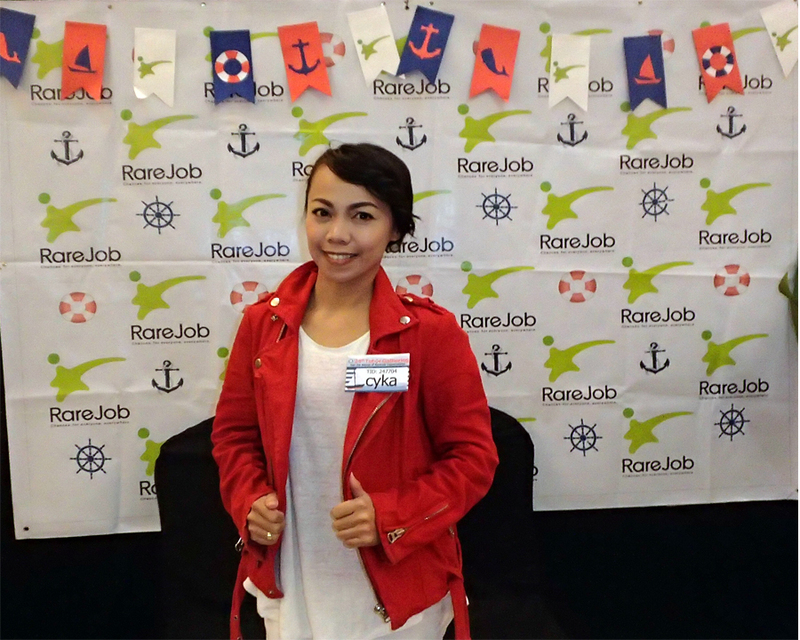 RareJob is an online English School in Japan, and this company helps a lot of our Filipino Citizen especially like me who wanted to have job in which I can have a flexible time to work, since I'm a busy mom of two kids. I was able to work in a lot of firms and since I need to stay home because of my kids, I need a work which is a home based. It's already been a year since I started teaching at Rarejob. What I really like about this company, is that they really take care of their tutors by enhancing their skills in teaching, they offer workshops, a lot of incentives and one of the highlight is the Rarejob ambassadors, wherein selected tutors who passed on deliberation can visit our main office in Japan and can interact with students. Isn't it cool? but I'm not aiming for it. So going back with my story, I really like to interacts with other people especially Japanese people because for me they're very kind and respectful people. Though I teach part time 3 to 4 hours a day I love it because I could communicate to a lot of people in different fields and levels and I have a lot of chance to learn more about their culture. Here are some pictures that I would love to share. Our CEO Mr. Tomohisa Kato, was super friendly and humble person, you will never be a stranger to him, he asked questions to all tutors and will really make them feel that your really part of the family. Awards were also given to deserving tutors. Loads of fun activities, in this picture we are told to create a picture based on the theme of the event. We were group into 3 and I'm proud of my group, they're all talented and shared a lot of tips on this field. Feel free to visit RareJob site and be part of this growing company. Work from home! Be an online English tutor. I made a video on this journey, I hope you will like and find it interesting. Thank you so much for reading and watching. Hello dear friends, how are you these days? I would like to share this Makeup Inspiration that I created recently. I really wanted to film last Sunday July 24, 2016 and I cannot come up with any look but upon watching the pilot episode of Encantadia from GMA network (one week pilot episode ), it gives me an idea of why not making a look which resembles more on fantasy theme, so I went ahead and start with my preparation and I was playing with light & dark blue, light green, brown and black eye shadows and for my accessories, I grabbed an old headband and started attaching beads on it. This is not the look of the 4 Sang'gre's but I think it goes with the Encantadia theme. I hope you'll have time to watch and learn some makeup techniques and tips on this tutorial and don't forget to like and subscribe. Hopefully you'll find this video helpful. Thank you so much for reading and watching.